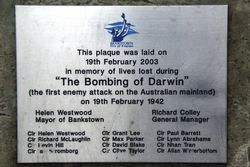 A plaque commemorates the bombing of Darwin in February 1942 during World War Two. The Japanese air raids on Darwin on 19 February 1942 were the largest attacks ever mounted by a foreign power against Australia. 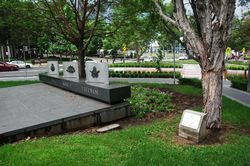 They were also a significant action in the Pacific campaign of World War II and represented a psychological blow to the Australian population, several weeks after hostilities with Japan had begun. The raids were the first of almost 100 air raids against Australia during 1942–43. 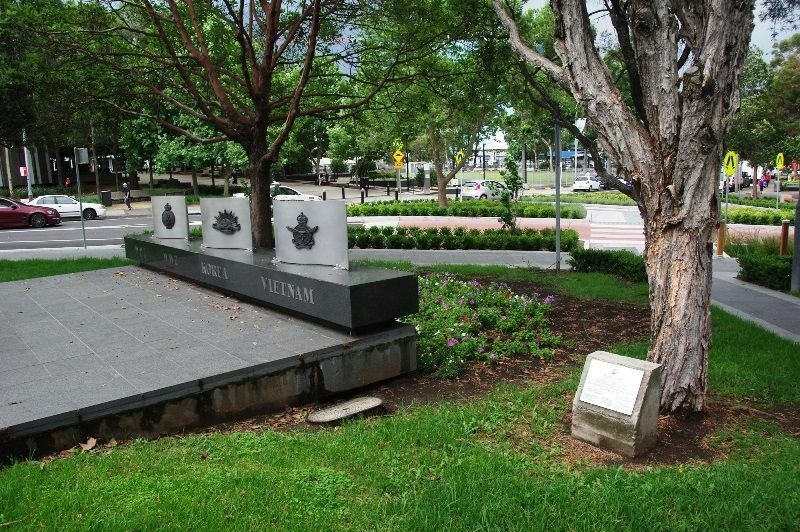 This plaque was laid on 19th February 2003 in memory of lives lost during "The Bombing Of Darwin"
(the first enemy attack on the Australian mainland) on 19th February 1942.